I can't believe we're in the 10th day of March already and unfortunately my first post of the month. Next week is already St. Patrick's day and I figured it's time to create some green nails for that occasion. 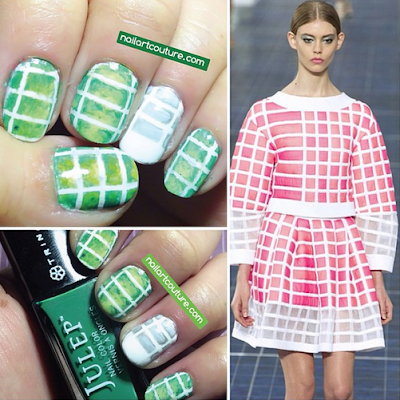 This nail art is inspired by a dress in Chanel Spring/Summer 2013 collection. 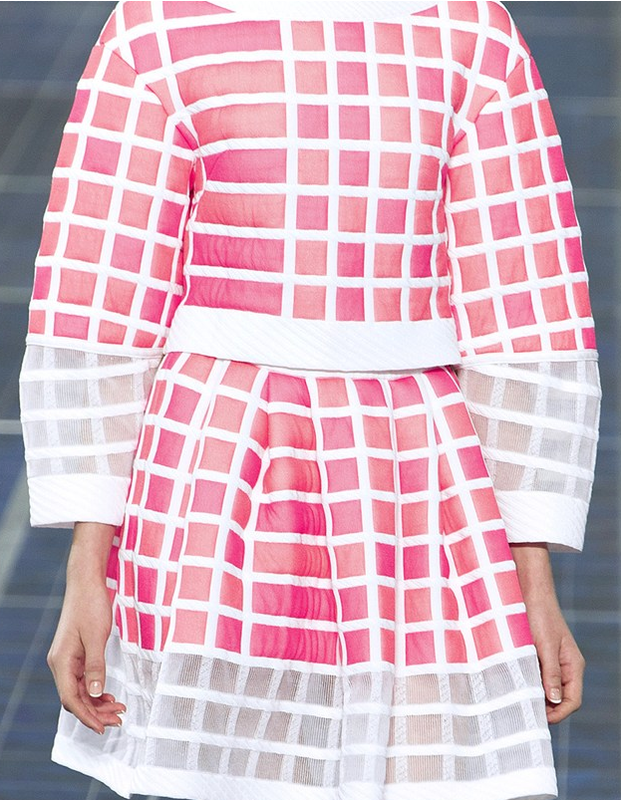 I love the simple geometric pattern and I also really like slight ombre effect within the quadrilateral shapes. 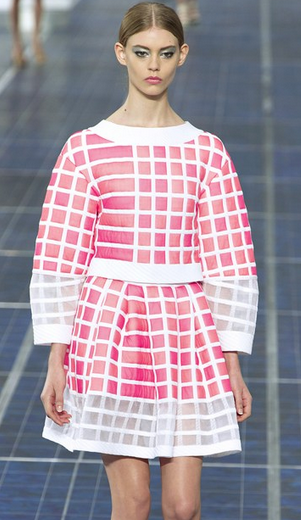 As you can probably tell from the picture below, the dress is pink! Initially I wanted to do an exact replication (like I usually do with all my fashion-inspired nails), but since it's so close to St. Patrick's day, I decided to create a green version of it. The technique is very simple and I think the final result looks pretty cool! You can definitely mix and match colors or do whatever you please. Keep reading for the tutorial and my materials used! Paint your nail white and allow it to dry completely. Then evenly space out 3 to 4 nail art strip trape horizontally and 2 vertically. 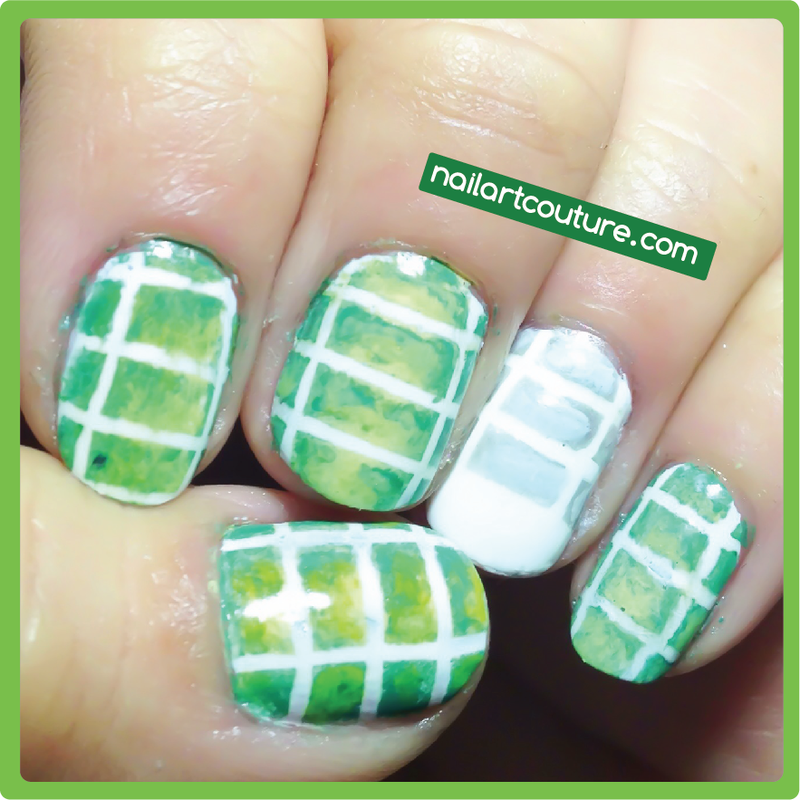 Using a small piece of a sponge, dip it in the dark green polish and sprong the sides of the nails. Using the light green polish, sponge it in the middle area of the nails. Remove the nail art tape to create perfectly straight white lines. Next, use your nail art brush and dark green polish paint a small wide "u". If you make it too dark, smudge it out with the lighter green polish. This would create a shading effect. Also, with a nail art brush, light dab the lighter green polish into the small dark green squares. This will give it a little more dimension and detail. Allow your nails to dry for about a minute or two before you apply a top coat. This will make the colors blend a little better and make the nail art look smoother. Repeat for the rest of your nails. You can create an accent grey nail using the same method with silver and white polish. 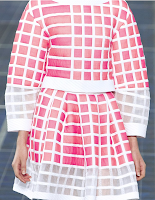 This replicate the white area of the Chanel dress. I really hope you enjoy this nail art! I would love to know what type of nail art you're planning on sporting on St. Patrick's day. 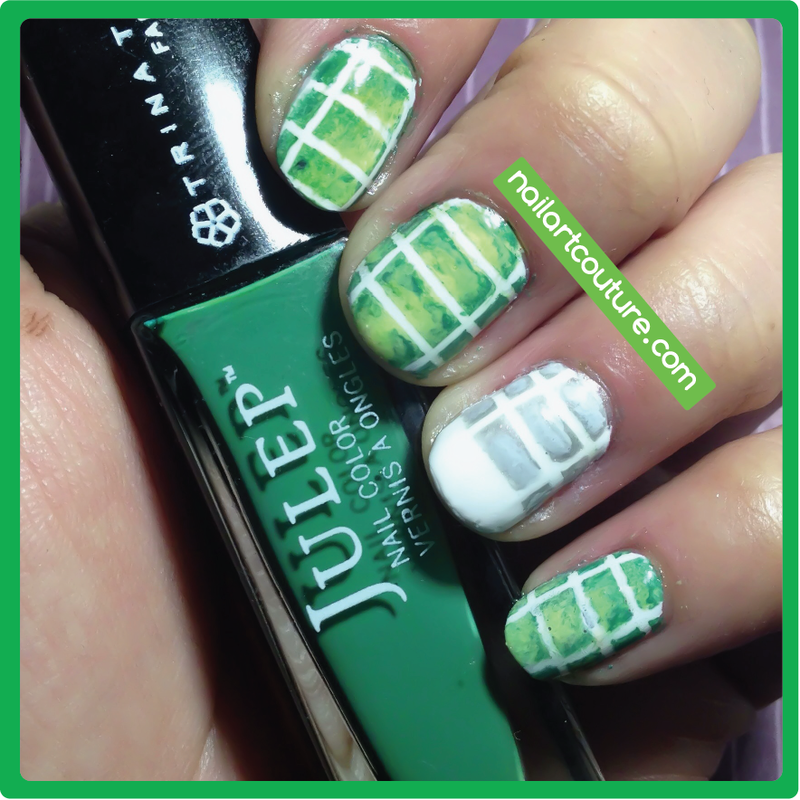 I plan on create a few more St. Patrick Day green nail art, so please stay tuned for that!